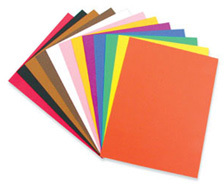 Welcome to Printed Paper Products Ltd the home of pre-designed papers created for you to print and personalise. We are the exclusive providers of A4 PaperDirect™ Branded Papers, which are known for their high quality design and standard. Our extremely popular Certificate and award range will provide you with an easy and cost effective way of recognising praise, course completion and general achievement whatever the reason maybe. Keep motivation high with a simple yet very effective certificate, which can be adapted and finished off with certificate seal and ribbon, then presented in quality embossed jacket. We also have a beautiful range of themed products including cards, brochures and A4 papers that will help give your thanks, announcements and messages extra impact. In viewing our product range you will see the certificates, certificate seals and presenter jackets along with an assortment of speciality papers. There’s also a range of plain and pre-designed stationery including A4 papers, brochures, compliment slips, business cards and accessories.